With the start of the New Year fast approaching, we have switched gears a little bit here at Party Plan Divas from the Holiday Rush to planning for the New Year. 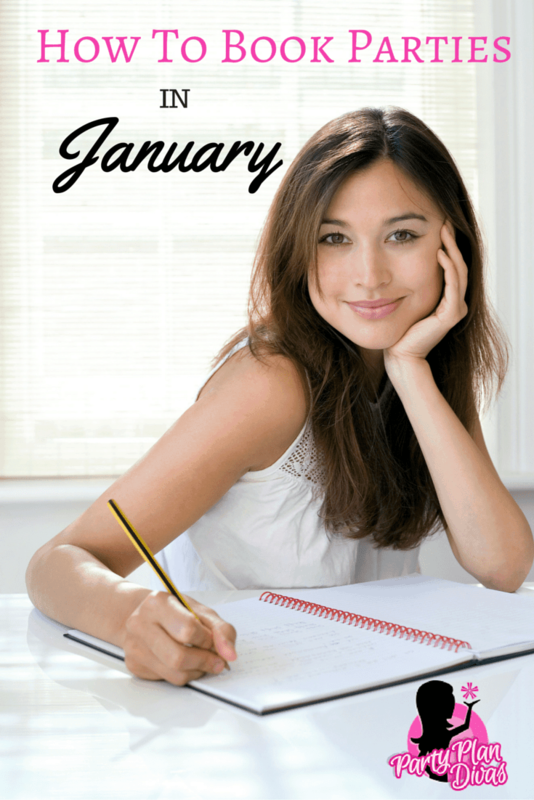 January is notorious for being one of the lowest months of the year for direct sales, but you can combat that by starting now to fill up your January calendar! Do not wait until December 31st to turn the page in your calendar to January – you will find a snowy white (EMPTY!!) page! You can begin right now while you are taking those last minute holiday sales to book parties in January and start the New Year on the right foot. Since How To Book Parties is such an important and timely topic, I thought it would be a great one to share with all of our readers here – not just our members! So below you will find the recording of our live webinar – with all of the tips for how to fill up your January calendar with bookings and sales! It is kinda long – but it is full of ideas from beginning to end! Enjoy!